The New Year is now in full swing and we’re kicking off our programme in earnest this week with the prolific Loz Speyer – who brings a quintet of playful adventurers to our Amersham stage, enjoy! Following in the musical footsteps of the likes of Mingus, Ornette, Steve Lacy, Inner Space Music takes improvisational music into new territory. 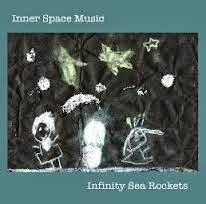 Compositions such as Rocket Science and From A to B to Infinity play around with a combination of fast time, slow time and free time, as a flexible framework for improvising, exploring that fine line between structure and freedom that is such a central theme in the jazz tradition. As ever, doors open at 8.30, £5-in, with the well-stocked bar open ‘til midnight…see you there next Tuesday!